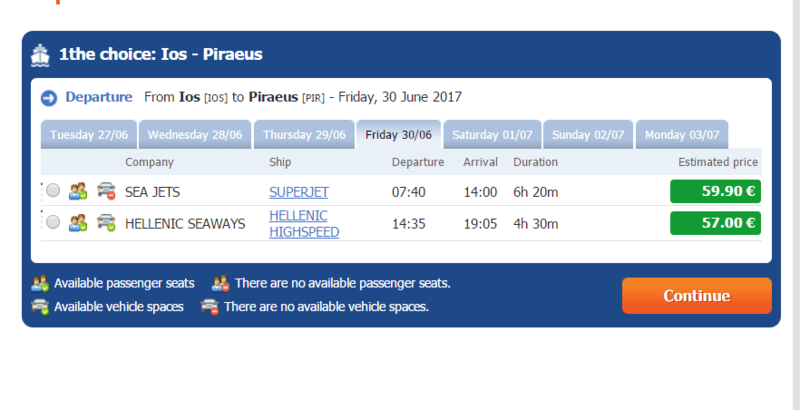 To get from Ios island to Piraeus port you can get a “slow” or a “fast” ferry. The fast ferry takes 4 hours and 30 minutes to get from Ios to Piraeus and it accepts cars. The cost is around 57 euros per person. The fast ferry belongs to the company “Hellenic Seaways” and you can book it via http://www.viva.gr. The slower ferry takes 6 hours and 20 minutes and it does not accept cars. The cost of the slower ferry is 60 euros per person and the ferry belongs to the company “Sea Jets“. 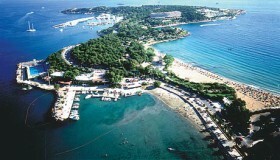 You can book it at http:///www.viva.gr as well. To get from Ios to Rafina port, you will need to get the ferry from the company “Golden Star Ferries“, which takes 5 hours and 45 minutes for the trip. The cost is 48 euros per person. 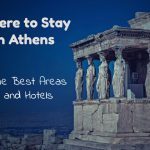 If you ask yourself, what is the best port to arrive to, it depends on where you are staying in Athens. 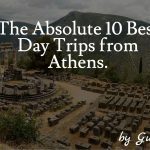 E.g, if you are staying in the Northern Suburbs of Athens, it is much better to arrive at Rafina port as it is cheaper and quicker to get from Rafina to Marousi, Kifisia, Halandri than it is to get to the same places from Piraeus. 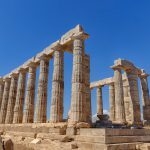 If you are staying in the south suburbs of Athens, e.g. Piraeus, Glyfada, Alimos, Palaio Faliro, it is better to arrive at Piraeus port. 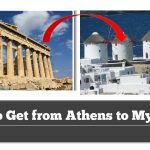 If you are staying in the center of Athens, Piraeus might be more convenient as you can get the train just outside the port, which gets you to the Athens center in 20 minutes. 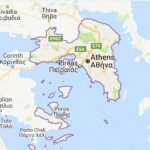 Finally, bear in mind that Rafina port is much smaller than Piraeus port and there is no train access to it. You can only get to Rafina port with a bus or a taxi. Piraeus port has an easier access, with a train, bus or taxi as options to reach it.